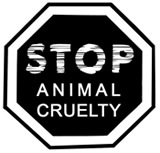 Cruelty toward animals is illegal under North Carolina law. You can report animals experiencing physical harm under the care of an individual (not a veterinarian), pet shop, kennel or animal shelter to the North Carolina Attorney General’s Animal Welfare Hotline. Read more or lodge a Complaint. To lodge a complaint against a veterinarian / veterinary technician, please refer to the Complaint section of our web site.